4 payments of $271.46 to be paid over the next 4 months (1 payment due each month) to pay the remaining balance. 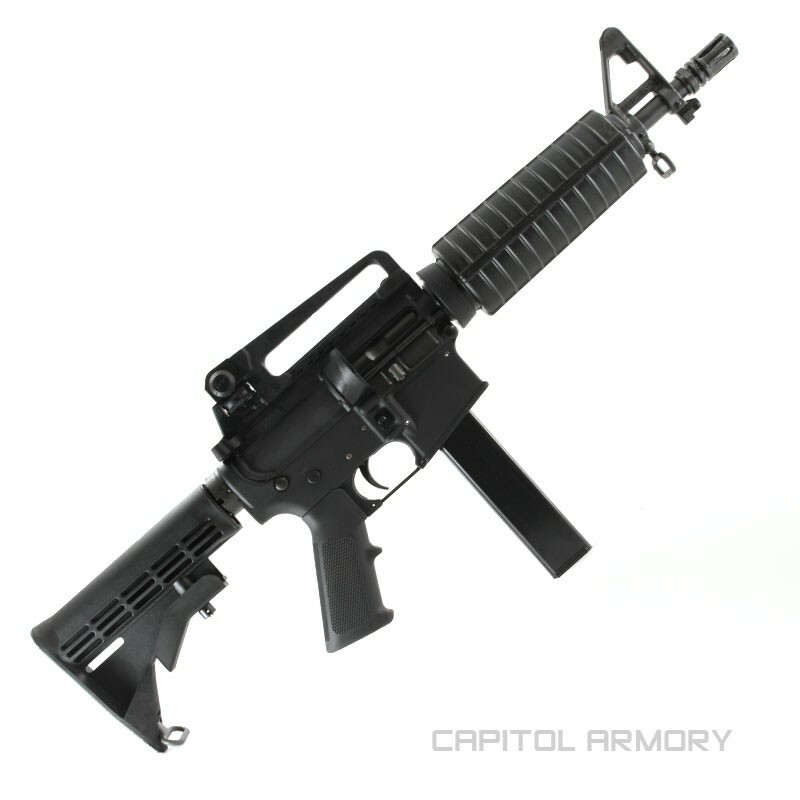 Colt 6991 factory short barreled rifle chambered in 9mm and featuring a detachable carrying handle and integral sights. Includes two 32-round magazines. Collapsible stock. 10.5 inch barrel with muzzle device. Angled pistol grip with finger grooves. Sling swivel studs. 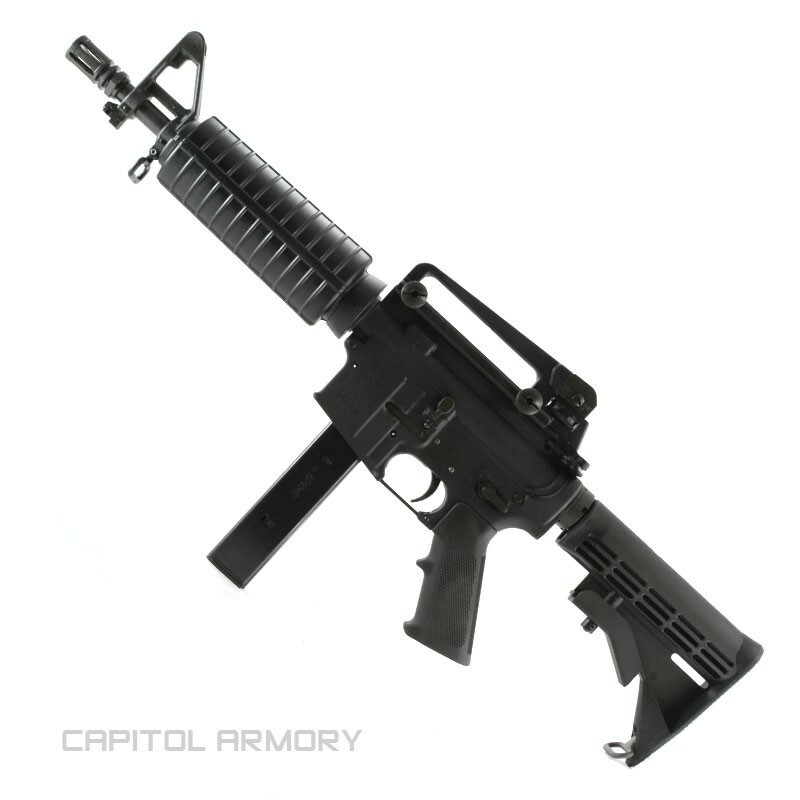 Colt 6991 factory short barreled rifle chambered in 9mm Parabellum and featuring a detachable carrying handle and integral sights. Includes two 32-round magazines. Collapsible stock. 10.5 inch barrel with muzzle device. Angled pistol grip with finger grooves. Sling swivel studs.